Buy. Download. Create. Get Photoshop Lightroom at the Adobe Store. 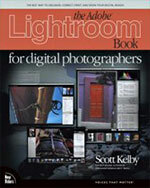 Since Lightroom first launched, Scott Kelby's The Lightroom Book for Digital Photographers has been the world's #1 best-selling Lightroom book. 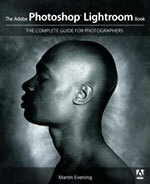 In this latest version for Lightroom 3, Adobe Photoshop Lightroom 3 Book for Digital Photographers, Scott uses his same step-by-step, plain-English style and layout to make learning Lightroom easy and fun. 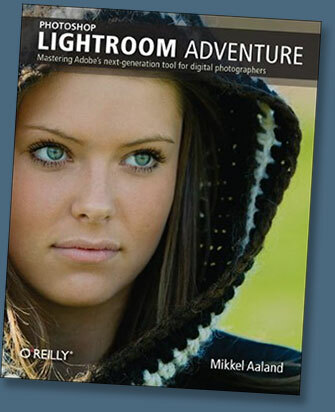 "Field testing in Iceland turned out to be a stroke of brilliance," enthuses George Jardine, pro photo evangelist for Adobe Systems, about Mikkel Aaland's new book, Photoshop Lightroom Adventure. Aaland turned his experiences from a once-in-a lifetime photography expedition to Iceland into a striking guided tour of Lightroom. Along the way he shows readers how they, too, can use Lightroom to create exciting new images. More importantly, Aaland, an award-winning photographer and bestselling author, inspires readers -- everyone from photography enthusiasts to working professionals -- by providing a far deeper experience than most instructional manuals. Part Icelandic road trip, part photo essay, "Lightroom's" photo-rich pages come packed with beautiful, exciting, and emulate-able photographs from a dozen talented working photographers. 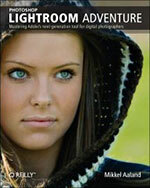 Buy Photoshop Lightroom Adventure at Amazon.com ($26.39 - 34% savings). 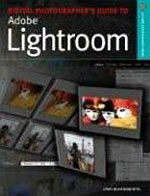 The Adobe Lightroom Book, written by professional photographer and best-selling author Martin Evening, describes Lightroom's features in detail and with photographer's in mind. As an established commercial and fashion photographer, Martin knows firsthand what photographers need for a more efficient workflow. 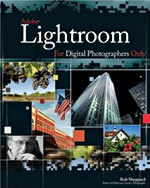 The Adobe Lightroom Book has been earning acclaim since it was first published as a "Rough Cut" book-in-process on Safari, a joint venture between Peachpit and O'Reilly Publishing. Martin has been updating the book's content as Lightroom evolves, giving users the most up-to-date information about this revolutionary product. As a result, Martin knows the software inside and out, making him the perfect author for what will become the definitive book about Adobe Lightroom. 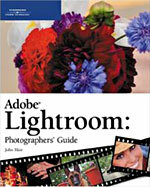 You've just purchased Adobe Lightroom, the brand-new, revolutionary workflow application. Now what? Pick up this book, written by best-selling author Scott Kelby to give you all the dirt you need to allow you to work faster, smarter, and more creatively. You'll learn the essential shortcuts you need to know to save hours every week, the best ways to import and organize your images, which tools and features to really hone in on to get the most out of this application, how to manage your photos like a pro, plus all the inside secrets on processing raw images. You'll also learn how to use Lightroom together with Photoshop to get the best, most efficient workflow, along with the best images. Finally, the book is loaded with tips, tricks, and insights that will absolutely transform the way you work with digital images. • Packed with stunning full-color images throughout, invaluable professional tips, and step-by-step techniques, this expert reference is written by a top professional photographer for photographers. • Provides real-world techniques that show photographers how to easily sift through massive photo projects to identify final selections, examine images in file detail, correct multiple images at once, and much more. • Covers compare and select tools, nondestructive image processing, color-managed printing, and custom Web and book publishing, all aimed at professionals and serious amateurs who want to achieve higher quality, professional results in their prints. With this in-depth guide, photographers can make the most of the cutting-edge software and understand the entire image-making process. It’s filled with expert tips and techniques, and comprehensively covers both professional essentials (setting up photo libraries, white balance) and advanced topics like studio branding. You’ll learn how to have a photo shoot, whittle it down to the best shots, and fine-tune their tone, balance, and exposure. Zoom in, zoom out, crop, and undo, all without altering the original. 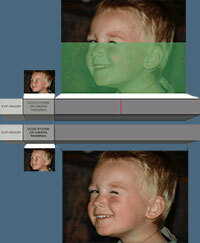 Put the file on CD or the web for clients or friends, then make picture-perfect prints, in color, mono, or sepia. The possibilities are amazing. Killer Tips books are written with one goal in mind: to allow the reader to work faster and smarter. In other books, you'll often find that the most useful information is found in sidebars, tips, and notes. In a Killer Tips book, there's nothing to weed through: it's all sidebars, tips, and notes! Here, Matt Kloskowski breaks out the best and most useful information for digital photographers who have turned to Lightroom, the new workflow application from Adobe. Designed from the ground up with digital photographers in mind, Lightroom offers powerful features in a streamlined interface that let photographers import, sort, and organize images. 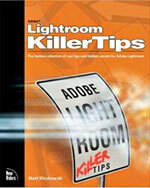 Readers will be amazed at the hidden features and tricks for productivity that Matt reveals in Lightroom Killer Tips. There is no doubt that the digital photography revolution has opened up a world of wonderful possibilities for photographers of all levels. However, the issue of processing workflow can present a true challenge. The number of photographs that a photographer shoots with a digital camera increases tremendously over what might be shot using standard film. After the shoot is over, each of these images must be processed and edited on a computer monitor--and this can be a daunting task. Adobe Lightroom Photographers' Guide offers a solution to this challenge, providing photographers with a hands-on guide to Adobe's Lightroom product. Using the features offered by Lightroom, it tackles the issue of workflow, providing photographers with a helping hand through the complexities of digital and RAW format workflow. Adobe Photoshop Lightroom is the first truly integrated digital photography workflow application created with the serious digital photographer in mind. Working equally as well with RAW or JPEG files, Lightroom easily integrates with Photoshop and Photoshop Elements for the ultimate in localized editing. Adobe Lightroom Adventure, explains in easy to follow text, complimented with numerous illustrations, how to get the most out of this amazing application. The book consists of 256 pages, with full color illustrations and numerous case studies. Many of the examples will be drawn from the experiences of ten professional photographers during the Adobe Lightroom Adventure in Iceland, where they are testing the use of the software in real world.